We delve into one of the most polarizing beer adjuncts in the market: pumpkin ales. As is the case with the seasonal veggie in general, its addition into your pint is either one that you eagerly anticipate each fall, or despise the arrival of altogether. When the weather begins to cool we usually tend to reach for brown ales and porters. 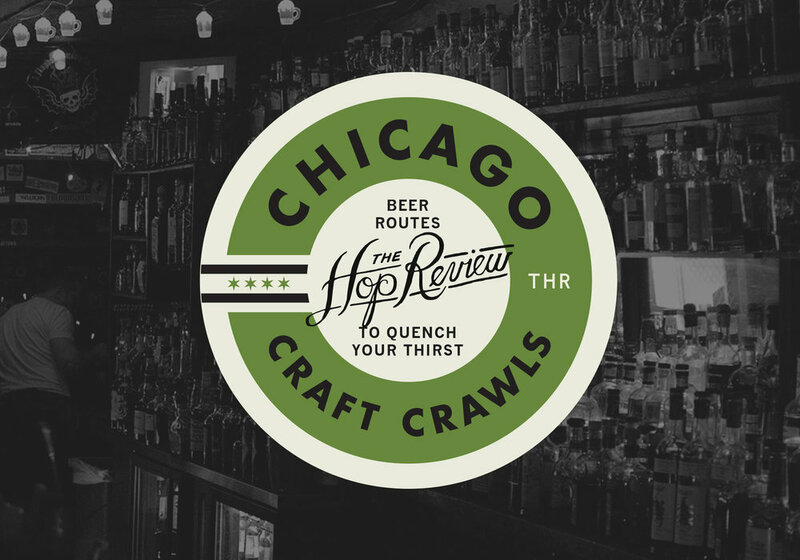 Yet, every year come fall (and now it seems to be creeping into late summer), your local bottle shop or grocery store's beer aisle ends up looking like a highway construction zone. Decked out in bright orange bombers and six packs, they celebrate the arrival of these spiced ales. Pumpkins and gourds have been used to make beer since the days of George Washington and our founding fathers. Colonial America was not a suitable growing region for grains necessary for beer, and importing them was expensive. So other more readily available crops–like corn, artichokes, spruce, yams and yes, pumpkin–were used in their place. Thankfully, the German immigration to this country brought modern brewing techniques, and rustic pumpkin beers were nearly all but forgotten. It wasn't until the 1980's that pumpkin beers started to resurface. In 1986, Bill Owens of Buffalo Bill's Brewpub in Hayward, California introduced his pumpkin beer…and the rest is history. We take a look at 10 versions worthy of consideration. 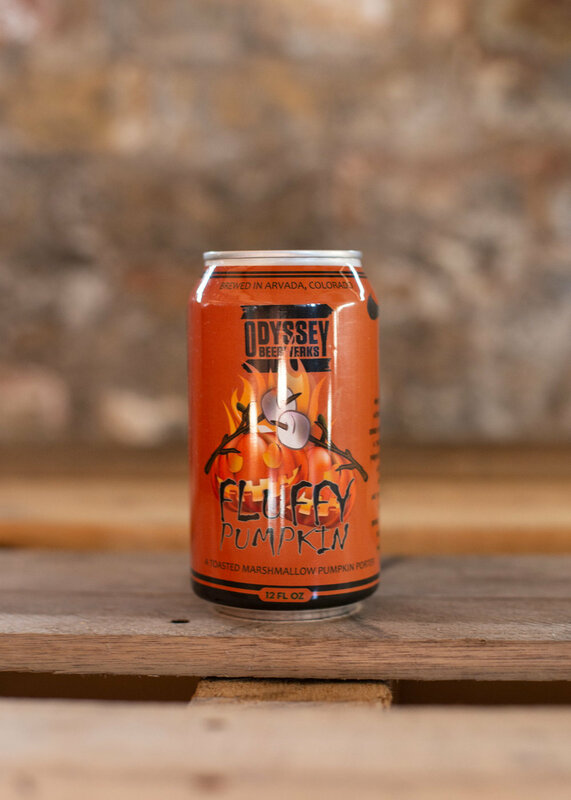 If you are looking for a beside-the-campfire pumpkin beer, this is the one. With over 11 pounds of pumpkin added to every barrel of this porter, this beer has a smooth, velvety mouthfeel, accompanied by plenty of smoked malts. The pumpkin sweetness is joined by hints of spice and brown sugar. Here’s the booziest ale in our lineup clocking in at 15%. Avery’s bourbon barrel-aged pumpkin porter packs a punch and is layered with spice and sweetness. Barrel-aging this pumpkin spiced ale allows for extra complexity and a welcome take for those typically avoiding the fall adjunct. Florida gets into the pumpkin beer game here, with Good Gourd. 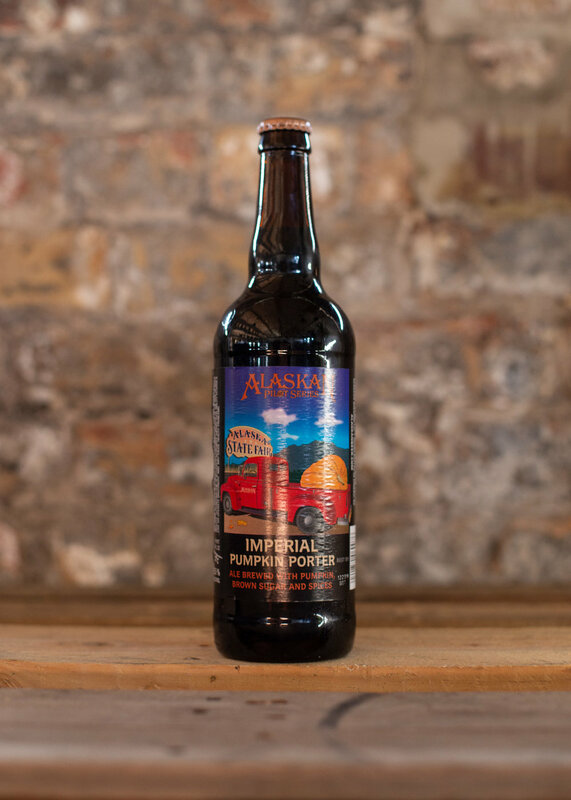 This imperial pumpkin ale is brewed with cinnamon, allspice, cloves, nutmeg and vanilla to emulate the flavors of a decadent pumpkin pie. And decadent it is. Vanilla, folks, ya can’t beat it! Thanks to the deft use of brown sugar, this brown ale from Delaware’s off centric brewers is a welcoming foot in the door to pumpkin beers each fall–even at 7.0%. We can imagine having one of these in hand during the '“Punkin’ Chunkin’” is a good thing. 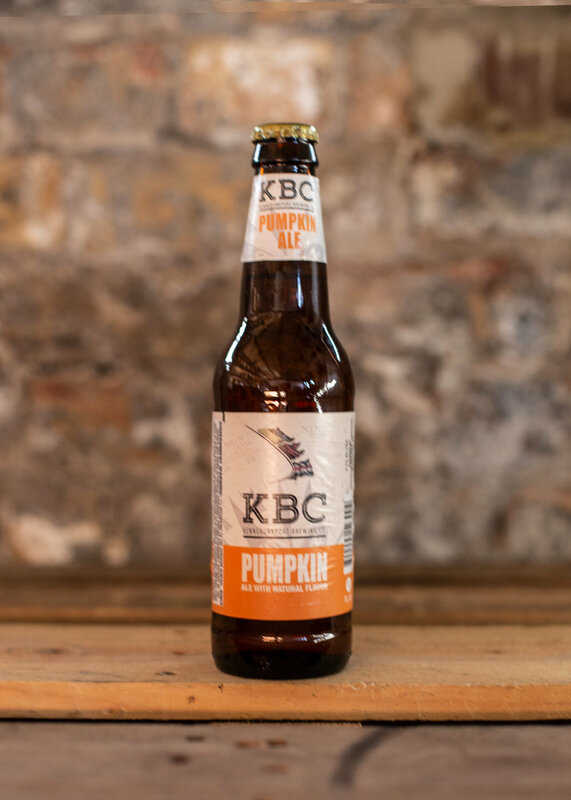 KBC’s take on pumpkin might be the ‘lightest’ version of the batch here. The brewery often associated with Trader Joe’s shelves brews up a low-ABV fall drinker with the classic inclusion of allspice and clove you expect from the style, albeit not terribly memorable. This is the bargain buy. New Belgium continues the exploration in their line of Voodoo Rangers, with this spiced pumpkin ale. Did we say spiced? Because this ‘anti-typical-pumpkin'-beer’ packs some heat with the addition of habanero peppers, Saigon cinnamon and Del Arbol peppers. Whew. West Michigan’s New Holland makes one of the more consistent pumpkin ales, with Ichabod. It is an all spice and nutmeg beauty with just the right amount of cinnamon tinge, as to not be an overwhelmingly ‘pumpkin’ drinker. And at just 4.5%, you might even enjoy a second. New-to-us was this decadent porter out of Colorado. The use of vanilla and marshmallow alongside seasonal spices remind us of the bonfire dessert classic, fit for fall. The sweetness is balanced beautifully by the malt and roastiness that the porter provides. We’ll have another. In our humble opinion, Schlafly does the best job balancing out the pie spices with notes of real pumpkin and a nice full malt body. 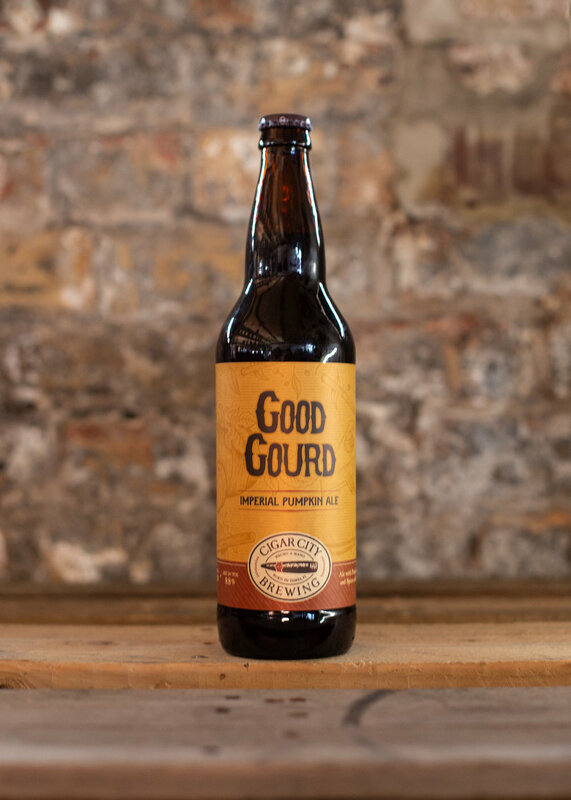 This is our gold standard when it comes to gourd-brewed ales. It’s decadent, doughy and is exactly what you would expect if you were to drink a pint of pumpkin pie. Dessert! Likely the most widely available–and certainly the earliest to market each year–is Southern Tier’s Pumking. We’re now seeing fewer versions of it in bombers at the end of July thankfully, but it’s presence it still plentiful come October. It wouldn’t be fall for a pumpkin beer drinker without a glass of this all-spiced concoction. Any pumpkin beers that you feel should be considered, outside of the above 10?